It's taken me a long time to download and sort through all my photos. Hence, I am finally posting details of my son's party. 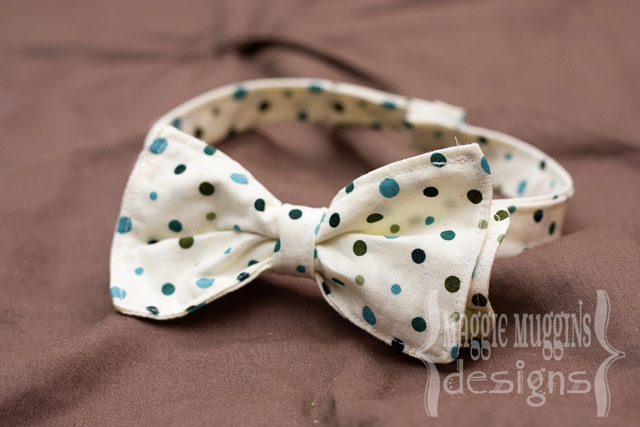 I made several bow ties for the Little Man Tea Party we had for my son. I followed Disney's Tutorial on Ruffles and Stuff. These were so easy to make and turned out absolutely adorable! There were a few girls that were invited to attend along with their brothers. One actually came. For her I had a hair clip instead of the bow-tie! Of course, I made it in coordinating fabric. This is the posy pin with a hair clip attached instead of a pin. Look forward to more sweet details from the party! I love the little bowtie! 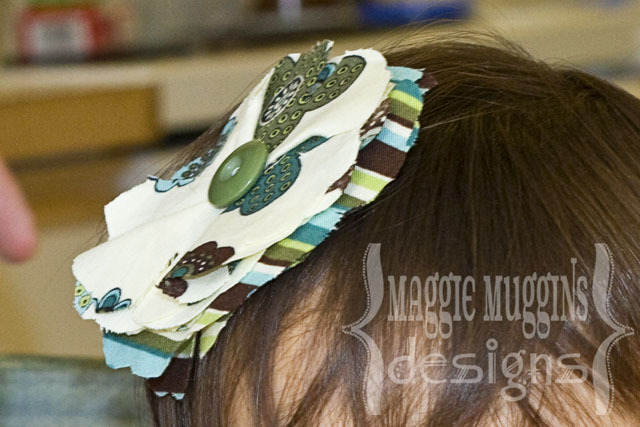 And the fabric hair flower is awesome too :) You always pick the best fabric!